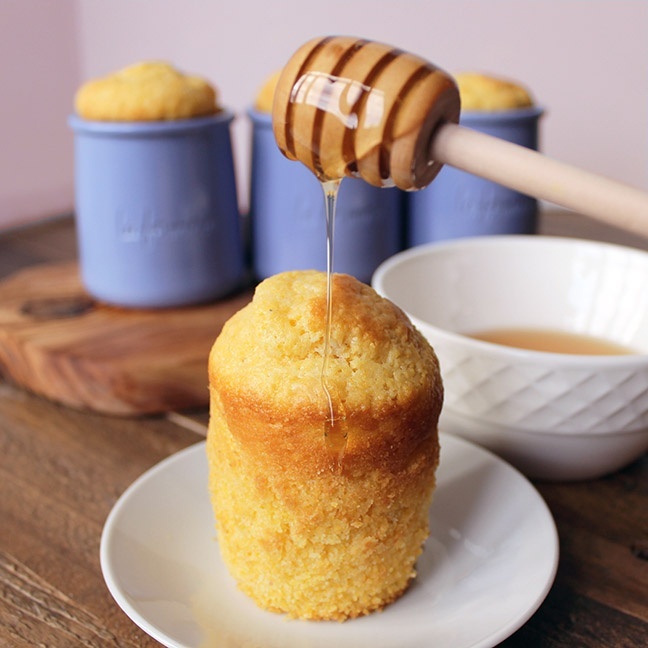 The holiday season is upon us and this classic cornbread recipe is just what you are looking for to serve with the meal or as a sweet dessert at your next holiday party. If you couldn't contain your excitement and skipped right to the recipe; you would have noticed that we utilized empty La Fermière yogurt pots for the baking process. Beyond the endless DIY possibilities and home decorations that can be achieved by using our pots, both our terracotta and glass pots can be safely used in the oven; which makes them perfect for this recipe. Not only is it a great way to reuse them and display them, but your guests will love them! You can enjoy this delicious buttery cornbread right out of the pot. Recipe for 12 servings. 1 serving - 1 yogurt pot. 12 empty La Fermière terracotta or glass pots. (1) Preheat oven to 400°F. (2) Butter each pot to prevent cornbread from sticking, then set aside. (3) In a large bowl, combine cornmeal, flour, baking powder, sugar and salt. In a separate bowl; whisk milk, large egg, and butter. (4) Pour wet ingredients into the dry mixture and gently stir until everything is evenly combined. (5) Pour mixture into each empty pot. To allow them to rise beautifully, fill up ⅔ of each pot! (6) Bake at 400°F for 15 to 20 minutes, or until golden.